The 2018 Western Regional Meeting (WRM) is pleased to congratulate the following recipients of the ACS Regional Awards, which will be presented at the closing banquet on the evening of Saturday, October 27th at the California Institute of Technology in Pasadena, CA. For more information about individual awards, visit the Award Descriptions page. This award recognizes the volunteer efforts of ACS members in the region who have served the ACS, contributing significantly to the goals and objectives of the Society at the national, regional, or local level through their activities. This year's recipient of the E. Ann Nalley Western Region Award for Volunteer Service is Ernest Simpson with the San Gorgonio Section of the ACS. Since joining the San Gorgonio Section over 50 years ago, Ernie has served on many committees and as Chair of the San Gorgonio Section, been key in the Chemistry Olympiad effort, established the Senior Chemists Committee and represented SGS as a multi-year member of the Western Regional Steering Committee (now called the Western Region Board). Ernie represents the San Gorgonio Section as a national Councilor and served on both the ACS Local Sections Activities Committee and recently the Senior Chemists Committee. During his 40 years of teaching at Cal Poly Pomona, it is estimated that he taught more than 16,000 students. He served as Chemistry Department Chair, as Graduate Studies Coordinator, and the developer and chief advisor for the Industrial Chemistry major within the department. He has written books, worked as a consultant, served on a variety of advisory boards, and is a member of several learned societies. One of Ernie's strongest legacies to the western region is his involvement in cooperative education. He was a longtime member and President of the California Cooperative Education Association (CCEA). He was honored with the CCEA President's Award (1995), Outstanding Academic Advisor at Cal Poly (1996), and the President's Award for Excellence through Teams (1999), an alumni in-reach program. The success of this program was recognized when Cal Poly Pomona was chosen as CCEA's outstanding co-op program in 1997. Ernie is well known locally and nationally for the promotion of the chemistry of wine. Not only did he author the Wine Professor's Guide to California Wines, he has been giving seminars about wine chemistry since 1983. ACS Speaker's Bureau member for 21 years, he has given talks on "The Chemistry of Wine" at 110 of the 185 ACS local sections, including twelve of the sections in the Western Region. He has also extended the reach of his wine talk by speaking to community groups including Lions, Kiwanis, Rotary, Jaycees and Soroptimists. These seminars often feature auctions of wines donated by Ernie, the proceeds of which are used to support a wine scholarship Ernie established at the Collins School of Hospitality Management at Cal Poly Pomona. Despite his emeritus status, he is still very involved at Cal Poly Pomona with the annual Dr. Chevy Goldstein Distinguished Lecture, the Chemistry Student Research Award events and the Dr. Earl Pye Memorial Award for the Outstanding Freshman Chemistry major. He has established a Cooperative Education Scholarship, based on the program he developed while a professor. In a most meaningful recognition for him, outside of chemistry, he has refereed high school basketball for the past 58 years, and on Feb. 2, 2019 he will be one of 82 Inductees in the Foothill-Citrus California Basketball Officials Association Inaugural Hall of Fame Class covering the period 1949-2019. 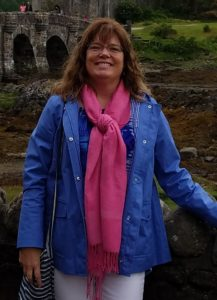 Arlene has been a chemistry educator for 20 years and is presently teaching general and AP chemistry at Sheldon High School in Acampo, California. Her innovative teaching techniques are augmented by her 10 years of practical experience in the work place as a senior scientist and Chemical Hygiene Officer at MBT Environmental Laboratories. Arlene's passion for chemistry and her belief that all students can and will be better today than they were yesterday fuels Arlene's success in the classroom. She nurtures and challenges students to think and problem solve; she makes herself available to mentor students at school outside of the classroom. She instituted Sheldon High School's Annual Chemistry Fair and has grown the Chemistry club dramatically over the years. Arlene has received several awards for her teaching: for example, she is a NSF Noyce Sacramento Math and Science Teacher Leader participant; she has been awarded "Most Influential Teacher" for several years; and she has been recognized by Prudential California Realty as Outstanding Teacher 2007. She facilitates teams of elementary teachers and administrators in the Sheldon High School district conducting site-based action research and has received various grants from CalServe and the American Chemical Society. Arlene is a member of the ACS, American Association of Chemistry Teachers, the national Science Teachers Association and California Science Teachers Association. She regularly engages in professional development activities. This award, sponsored by the ACS Committee on Minority Affairs, is presented to individuals or organizations that have advanced diversity in the chemical sciences and significantly stimulated or fostered activities that promote inclusiveness within the region. 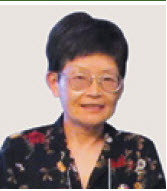 This year's recipient of the Stanley Israel Western Region Award for Advancing Diversity in the Chemical Sciences is Elaine Yamaguchi with the California Section of the ACS. Elaine has been an active member of the California section of the ACS and has been a coordinator of the project SEED program for the section since 1982. During this time, she has grown the program to over 50 students from low-income families, providing them with opportunities at universities, government agencies, as well as private corporations. More than 75% of the project SEED participants continue with their science education in college and her efforts have led to numerous recognitions and awards. In addition, Elaine has also been a co-chair of the Women Chemists Committee (WCC) of the California section, providing a forum for women scientists to share their experiences via quarterly meetings and panel discussions. One panel discussion even led to a webinar with the same panelists. Elaine has been a passionate advocate for both economically disadvantaged undergraduates as well as women in the sciences. She has been a vocal champion and more importantly, a coordinator to manage various stakeholders to place a diverse population of candidates in opportunities related to chemical sciences. Elaine's efforts deserve every recognition and she truly has "advanced diversity in the chemical sciences and significantly stimulated or fostered activities that promote inclusiveness within the region." This award is to encourage and recognize successful and exemplary partnerships. These partnerships can be between industry, academia, government, small business and/or other organizations, including ACS local sections with other organizations which result in impactful outcomes. This year's recipient of the Partners for Progress and Prosperity (P3) Western Region Award is the Mt. San Antonio College (Mt. SAC) STEM Teacher Preparation Project with the San Gorgonio Section of the ACS. The Mt. San Antonio College (Mt. SAC) STEM Teacher Preparation Project is an academic partnership that includes Mt. San Antonio College, Walnut Unified School District, and U.C. Irvine. This partnership allows community college students to develop an interest in becoming STEM teachers by providing access to resources at a 4-year institution and experiences in local elementary school classrooms. 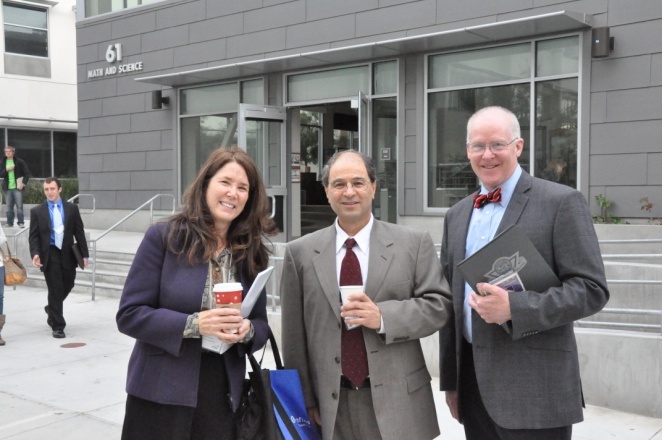 Dr. Iraj Nejad and Dr. Charlie Newman of the Chemistry Department at Mt. SAC direct the STEM Teacher Preparation Project. At present, Dr. Nejad and Dr. Newman serve as Principal Investigators of an NSF ATE grant to develop a Math and Science Teacher Preparation program at Mt. SAC; Dr. Newman also serves as the Coordinator for the Teacher Preparation Institute. Rounding out the STEM Teacher Preparation Project collaboration team, is Dr. Kris Houston, Cal Teach Master Teacher, of U.C. Irvine; and Mr. Larry Redinger, Vice President of the Board of Trustees Walnut Unified School District, who facilitates access to elementary and middle school students. Now in its third year, the project activities have been very positive. Teacher training activities and opportunities have increased Mt. SAC students' interest, ability, and confidence in becoming STEM teachers. For students who were unsure about a teaching career, participation in the program has sparked a desire to teach by providing them with real university classroom and research opportunities. A three-week Summer Science Exploration Experience for middle school students, led by Mt. SAC students, fosters enthusiasm in science among children. The successful impact of this model of academic partnership to recruit and develop future STEM teachers has been recognized by the National Science Foundation. For more information about this award, please visit the Western Regional Meeting website: www.acswrm.org or the Partners for Progress and Prosperity (P3) Award ACS Website.